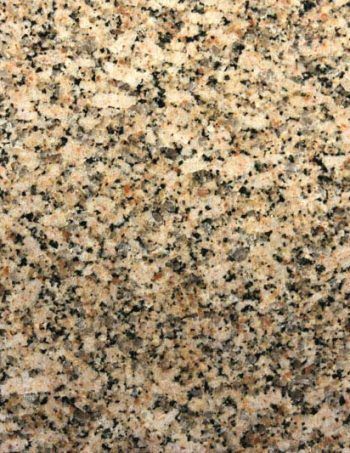 Carioca Gold- Beautiful, Resilient 3cm PREMIUM First Grade Carioca Gold is one of the most popular types of granite today. Carioca Gold granite displays as an earthtone stone with beautiful warm gold/brown and yellow/gold base and characteristics of beige, black and white patterns with a pleasant even pattern throughout the stone. Carioca Gold is an attractive choice for kitchen counters,fireplaces or commercial usage. Color: Warm gold/brown and yellow/gold base- beige, black and white patterns with burst speckles Characteristics: Beautiful, Resilient, Stain and Scratch Resistant Popularity: Strong residential markets and commercial choice granite Cabinets: Carioca Gold is very versatile with most light,medium to dark wood stain and colored cabinets Grade: 1st grade, Premium Select Thickness: 3cm, 2cm *Carioca Gold is a safe color for marketability and real estate investments. Remember to input the true (or best estimate) square footage amount in sq.ft box. A typical kitchen is 40-75 square feet. Kitchens with islands and bar tops can be significantly more. Vanity tops are typically 20-50 sq.ft. Also remember to calculate any backsplash (4 inch typical or full backsplash) in the total square footage. Click here to learn how to measure and calculate your countertops's true square footage. Ubatuba- Beautiful, Resilient 3cm PREMIUM First Grade Ubatuba is a very popular type of granite found naturally in Brazil. Ubatuba granite displays as a dark green stone with sometimes beautiful characteristics of small gold ribbons, white wisps and black specks. Ubatuba and is an attractive choice for kitchen counters, fountains or restaurant usage. 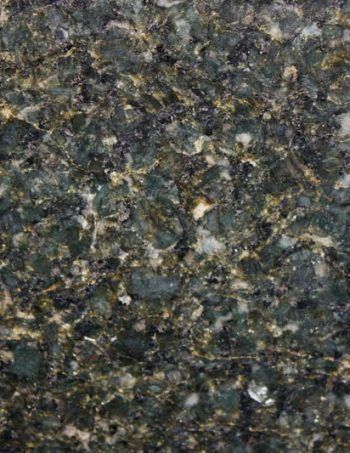 Color: Dark Green with hints of gold, white and black Characteristics: Beautiful, Resilient, Stain and Scratch Resistant Popularity: Strong residential markets and builder's choice granite Cabinets: Ubatuba goes with most wood stains and white or light colored cabinets Grade: 1st grade, Premium Select Thickness: 3cm, 2cm *Ubatuba is a safe color for marketability and real estate investments. Remember to input the true (or best estimate) square footage amount in sq.ft box. A typical kitchen is 40-75 square feet. Kitchens with islands and bar tops can be significantly more. Vanity tops are typically 20-50 sq.ft. Also remember to calculate any backsplash (4 inch typical or full backsplash) in the total square footage. Click here to learn how to measure and calculate your countertops's true square footage. MOON VALLEY- Beautiful, Resilient 3cm PREMIUM First Grade Moon Valley is one of the most popular types of granite today. Moon Valley granite displays as an earthtone stone with beautiful warm beige/creamy and white/grey speckled base with a pleasant even pattern throughout the stone. Moon Valley is an attractive choice for kitchen counters,fireplaces or commercial usage. Color: Warm beige/creamy and white/grey base Characteristics: Beautiful, Resilient, Stain and Scratch Resistant Popularity: Strong residential markets and commercial choice granite Cabinets: Moon Valley is very versatile with most light,medium to dark wood stain and colored cabinets Grade: 1st grade, Premium Select Thickness: 3cm, 2cm *Moon Valley is a safe color for marketability and real estate investments. Remember to input the true (or best estimate) square footage amount in sq.ft box. A typical kitchen is 40-75 square feet. Kitchens with islands and bar tops can be significantly more. Vanity tops are typically 20-50 sq.ft. Also remember to calculate any backsplash (4 inch typical or full backsplash) in the total square footage. Click here to learn how to measure and calculate your countertops's true square footage. Cookies And Cream- Beautiful, Resilient 3cm PREMIUM First Grade Cookies And Cream is a very popular type of exotic granite. Cookies And Cream granite displays as a beautiful creamy/white/grey with patches of black and white. Cookies And Cream is an attractive choice for kitchen counters, fireplaces or commercial usage. Color: White/Creamy, Grey and Black stone with pattern. 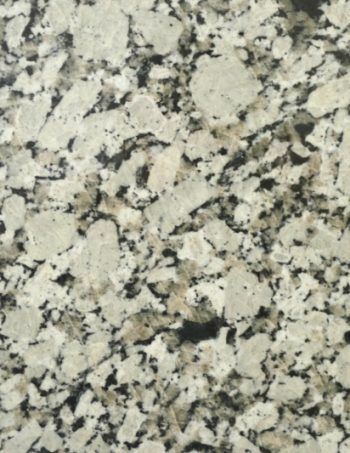 Characteristics: Beautiful, Resilient, Stain and Scratch Resistant Popularity: Strong residential markets and commercial choice granite Cabinets:Cookies And Cream goes with most medium to dark wood stains and colored cabinets Grade: 1st grade, Premium Select Thickness: 3cm *Cookies And Cream is a safe color for marketability and real estate investments. Remember to input the true (or best estimate) square footage amount in sq.ft box. A typical kitchen is 40-75 square feet. Kitchens with islands and bar tops can be significantly more. Vanity tops are typically 20-50 sq.ft. Also remember to calculate any backsplash (4 inch typical or full backsplash) in the total square footage. Click here to learn how to measure and calculate your countertops's true square footage. 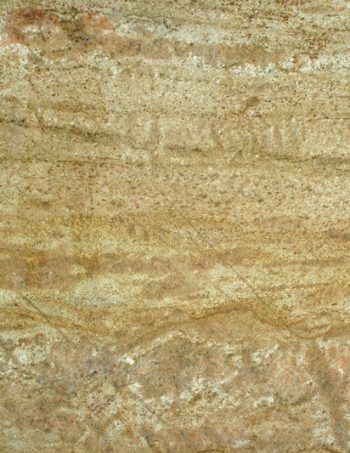 Crema Carmel- Beautiful, Resilient 3cm PREMIUM First Grade Crema Carmel is a very popular type of exotic granite. 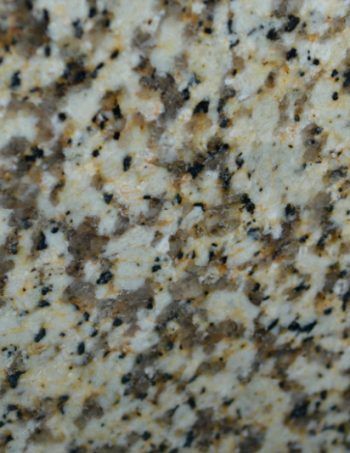 Crema Carmel granite displays as a beautiful creamy, brown, gold and black speckled pattern. Crema Carmel is an attractive choice for kitchen counters, fireplaces or commercial usage. Color: Creamy/Brown, Gold and Black stone with speckled pattern. Characteristics: Beautiful, Resilient, Stain and Scratch Resistant Popularity: Strong residential markets and commercial choice granite Cabinets:Crema Carmel goes with most medium to dark wood stains and colored cabinets Grade: 1st grade, Premium Select Thickness: 3cm *Crema Carmel is a safe color for marketability and real estate investments. Remember to input the true (or best estimate) square footage amount in sq.ft box. A typical kitchen is 40-75 square feet. Kitchens with islands and bar tops can be significantly more. Vanity tops are typically 20-50 sq.ft. Also remember to calculate any backsplash (4 inch typical or full backsplash) in the total square footage. Click here to learn how to measure and calculate your countertops's true square footage. 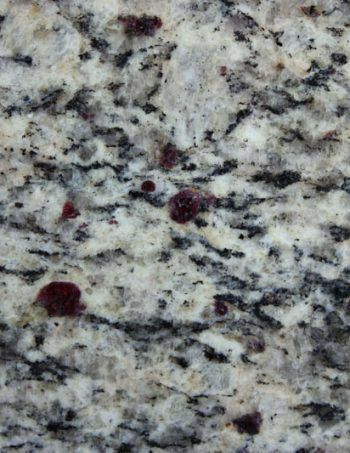 New Caledonia- Beautiful, Resilient 3cm PREMIUM First Grade New Caledonia is a popular type of granite. 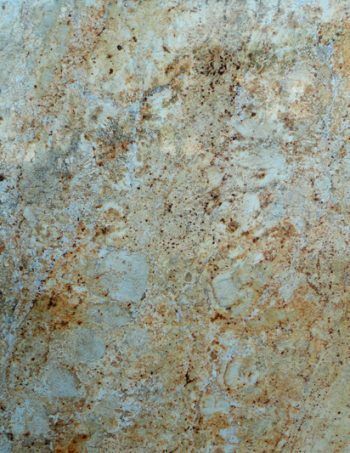 New Caledonia granite displays as an earthtone stone with an array of beige/brown, gray, black and white crystal blotches and characteristics of rugged patterns throughout the stone. New Caledonia is an attractive choice for kitchen counters,fireplaces or commercial usage. *New Caledonia is a safe color for marketability and real estate investments. Remember to input the true (or best estimate) square footage amount in sq.ft box. A typical kitchen is 40-75 square feet. Kitchens with islands and bar tops can be significantly more. Vanity tops are typically 20-50 sq.ft. Also remember to calculate any backsplash (4 inch typical or full backsplash) in the total square footage. Click here to learn how to measure and calculate your countertops's true square footage. Samoa- Beautiful, Resilient 3cm PREMIUM First Grade Samoa is one of the most popular types of granite today.Samoa granite displays as an earthtone stone with beautiful warm white/creamy and raspberry/grey speckled base with a pleasant even pattern throughout the stone. Samoa is an attractive choice for kitchen counters,fireplaces or commercial usage. Color: Warm white/creamy and raspberry/grey base Characteristics: Beautiful, Resilient, Stain and Scratch Resistant Popularity: Strong residential markets and commercial choice granite Cabinets: Samoa is very versatile with most light,medium to dark wood stain and colored cabinets Grade: 1st grade, Premium Select Thickness: 3cm, 2cm *Samoa is a safe color for marketability and real estate investments. Remember to input the true (or best estimate) square footage amount in sq.ft box. A typical kitchen is 40-75 square feet. Kitchens with islands and bar tops can be significantly more. Vanity tops are typically 20-50 sq.ft. Also remember to calculate any backsplash (4 inch typical or full backsplash) in the total square footage. Click here to learn how to measure and calculate your countertops's true square footage. 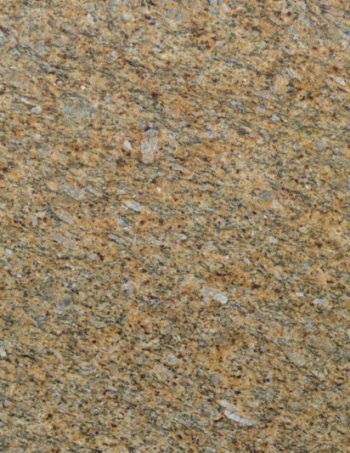 Ghibli Gold- Beautiful, Resilient 3cm PREMIUM First Grade Ghibli Gold is one of the most popular types of granite today. Ghibli Gold granite displays as an earthtone stone with prominent gold/brown and yellow base and characteristics with a pleasant even pattern throughout the stone. Ghibli Gold is an attractive choice for kitchen counters,fireplaces or commercial usage. Color: Warm gold/brown and yellow/gold base Characteristics: Beautiful, Resilient, Stain and Scratch Resistant Popularity: Strong residential markets and commercial choice granite Cabinets: Ghibli Gold is very versatile with most light,medium to dark wood stain and colored cabinets Grade: 1st grade, Premium Select Thickness: 3cm, 2cm *Ghibli Gold is a safe color for marketability and real estate investments. Remember to input the true (or best estimate) square footage amount in sq.ft box. A typical kitchen is 40-75 square feet. Kitchens with islands and bar tops can be significantly more. Vanity tops are typically 20-50 sq.ft. Also remember to calculate any backsplash (4 inch typical or full backsplash) in the total square footage. Click here to learn how to measure and calculate your countertops's true square footage. Ouro Brazil- Beautiful, Resilient 3cm PREMIUM First Grade Ouro Brazil is one of the most popular types of granite today. Ouro Brazil granite displays as an earthtone stone with beautiful warm gold/brown and yellow/gold base and characteristics of beige patterns with a pleasant even pattern throughout the stone. Ouro Brazil is an attractive choice for kitchen counters, fireplaces or commercial usage. Color: Warm gold/brown and yellow/gold base- beige patterns with patch patterns Characteristics: Beautiful, Resilient, Stain and Scratch Resistant Popularity: Strong residential markets and commercial choice granite Cabinets:Ouro Brazil is very versatile with most light,medium to dark wood stain and colored cabinets Grade: 1st grade, Premium Select Thickness: 3cm, 2cm *Ouro Brazil is a safe color for marketability and real estate investments Remember to input the true (or best estimate) square footage amount in sq.ft box. A typical kitchen is 40-75 square feet. Kitchens with islands and bar tops can be significantly more. Vanity tops are typically 20-50 sq.ft. Also remember to calculate any backsplash (4 inch typical or full backsplash) in the total square footage. Click here to learn how to measure and calculate your countertops's true square footage. 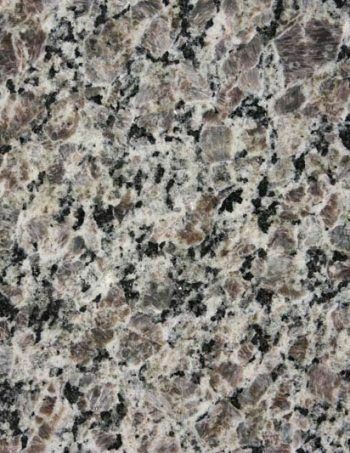 Colonial Cream- Beautiful, Resilient 3cm PREMIUM First Grade Colonial Cream is a very popular type of exotic granite. Colonial Cream granite displays as a beautiful creamy/white, with patches of gold and sometimes raspberry. This is considered an exotic pattern stone with patches and veining throughout the stone. Colonial Cream is an attractive choice for kitchen counters, fireplaces or commercial usage. Color: White/Creamy, Gold and Raspberry exotic stone with patches and veining Characteristics: Beautiful, Resilient, Stain and Scratch Resistant Popularity: Strong residential markets and commercial choice granite Cabinets: Colonial Cream goes with most medium to dark wood stains and colored cabinets Grade: 1st grade, Premium Select Thickness: 3cm, 2cm *Colonial Cream is a safe color for marketability and real estate investments. Remember to input the true (or best estimate) square footage amount in sq.ft box. A typical kitchen is 40-75 square feet. Kitchens with islands and bar tops can be significantly more. Vanity tops are typically 20-50 sq.ft. Also remember to calculate any backsplash (4 inch typical or full backsplash) in the total square footage. Click here to learn how to measure and calculate your countertops's true square footage. Colonial Gold- Beautiful, Resilient 3cm PREMIUM First Grade Colonial Gold is a very popular type of exotic granite. 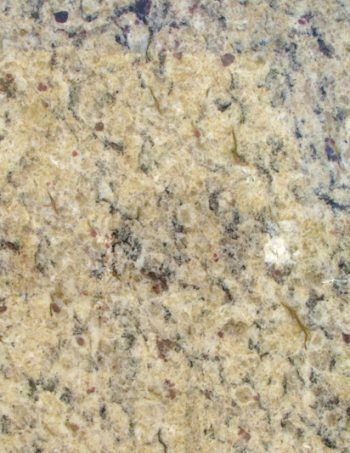 Colonial Gold granite displays as a beautiful creamy/gold, with patches of white and sometimes raspberry. This is considered an exotic pattern stone with patches and veining throughout the stone. Colonial Gold is an attractive choice for kitchen counters, fireplaces or commercial usage. Color: Gold/Creamy, White and Raspberry exotic stone with patches and veining Characteristics: Beautiful, Resilient, Stain and Scratch Resistant Popularity: Strong residential markets and commercial choice granite Cabinets: Colonial Gold goes with most light, medium to dark wood stains and colored cabinets Grade: 1st grade, Premium Select Thickness: 3cm, 2cm *Colonial Gold is a safe color for marketability and real estate investments. Remember to input the true (or best estimate) square footage amount in sq.ft box. A typical kitchen is 40-75 square feet. Kitchens with islands and bar tops can be significantly more. Vanity tops are typically 20-50 sq.ft. Also remember to calculate any backsplash (4 inch typical or full backsplash) in the total square footage. Click here to learn how to measure and calculate your countertops's true square footage.